Though many people with flat feet feel no pain or deal with any other serious problems, the condition can cause exacerbated problems with the tendon of the tibialis posterior. This form of tendonitis, or painful progressive flat foot, occurs when the tendon in the arch becomes stretched or inflamed. The tendon also becomes vulnerable to tearing which, when left untreated, can cause chronic pain and even disability. How Does Flat Foot Develop? Though we are all born with flat feet, a flexible arch soon develops through early childhood. As we become more adept at walking, that arch continues to grow and strengthen until a solid arch is formed. For those suffering from pronation, however, the healthy development of the arch is compromised, resulting in a flat foot or, as some know it, a fallen arch. 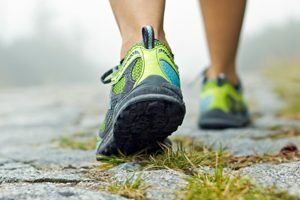 Though physical therapy and orthotics or bracing can help overcome the issues of flat foot, extreme cases that involve torn or damaged tendons often require rehabilitative surgery and therapy. If you believe that your symptoms are indicative of a flat foot, schedule your next appointment with a podiatrist at AllCare Foot and Ankle Center. Whether it be a surgery that improves your arch support or providing you with guidance on which pair of insoles for flat feet will be best for your lifestyle, we can help you out. Our teams in both Arlington and Dallas can help diagnosis any foot condition and develop a customized treatment plan if needed.